New website for local Lake District artist Patrick Corbett describing special graphite techniques that he has developed using chisel point graphite sticks. This is Patrick's second website, specifically developed as an ongoing project to bring together all the material Patrick had already put together about his chisel point graphite techniques and publish it online. We developed a style for the website that was in keeping the techniques themselves. 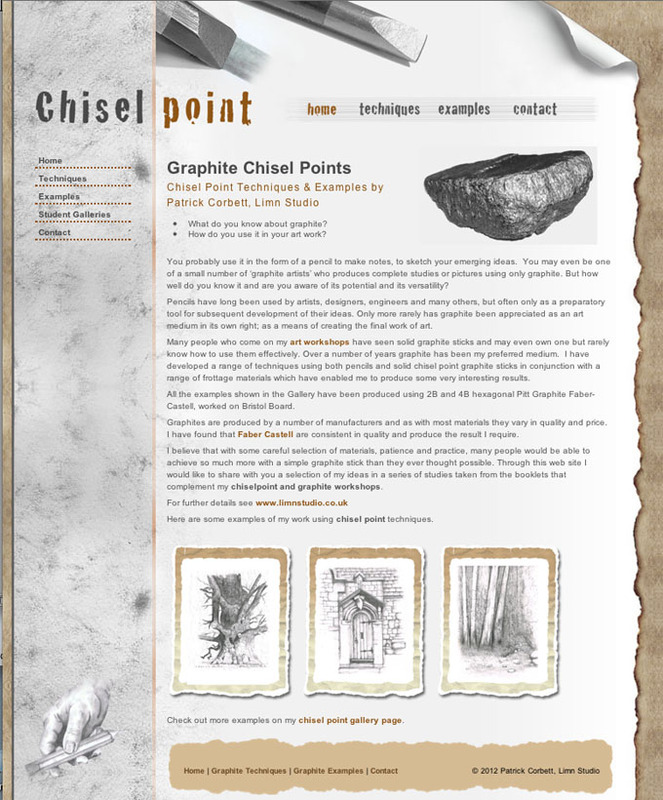 We also uploaded a chiselpoint video he had created to YouTube.